Nabeel Ahmad went from failing at many online ventures to building successful businesses. Nabeel Ahmad is the founder and CEO of Vertabyte, a full-service digital media agency that partners with clients to help them achieve their business objectives. After having worked with many companies to handcraft the best marketing campaigns, Nabeel has established himself as an authority and a thought leader in the digital marketing arena. He is also the founder of The Influencer Factory, which is a PR and communications agency that specializes in strategic media placements. Nabeel has partnered with many influencers, entrepreneurs, startups and established companies, and has successfully gotten them featured on major publications like Forbes, Entrepreneur, Huffington Post, Inc Magazine, and more. Nabeel also writes for some of the world’s biggest and most renowned publications, and his work has been featured on websites like Yahoo Finance, The Good Men Project, Business.com, and many more. At the young age of 21, when most people are still trying to figure out what to do in life, Nabeel seems to have everything figured out. He has managed to build multiple successful businesses in the past 4 years. I had the chance to meet him recently, and got to learn more about his story. By reducing the time spent on various other activities, Nabeel was able to focus on the one thing he was passionate about: building businesses. Nabeel realized the possibilities that the internet provides to us, possibilities that did not exist 30 years ago. He tried his hand at many different online businesses, facing failure in most of them, but he didn’t give up. After many months of failure, he tried his hand at freelancing. Nabeel started website development and social media marketing, providing services as a freelancer on different websites like Freelancer, Fiverr and Upwork. Even there, he was faced with lots of failure. For days, he did not get a single order. Being the quick learner that he was, he mastered the art of sales and persuasion. Once he cracked the code of freelancing, in a few days, he started selling services worth hundreds and thousands of dollars. He wanted to scale, and this made him realize that he didn’t actually have to do all the work himself. In order to increase revenue, he needed to have a team that does the work for him. He decided to just focus on sales, and outsource the work to people who were experts in their respective fields. Always having an entrepreneurial mindset, he then spent all his energy on sales and hiring the best remote employees. By expanding his team, and putting all his attention on sales, Nabeel was able to increase his revenue exponentially. He started offering PR services to influencers, and grew that into a successful business. In the past 2 years, he has worked with numerous top influencers, startups and companies, helping them get featured on publications as big as Forbes. “PR is all about networking and positioning. You need to know the right people, and you need to position your story in the right way. 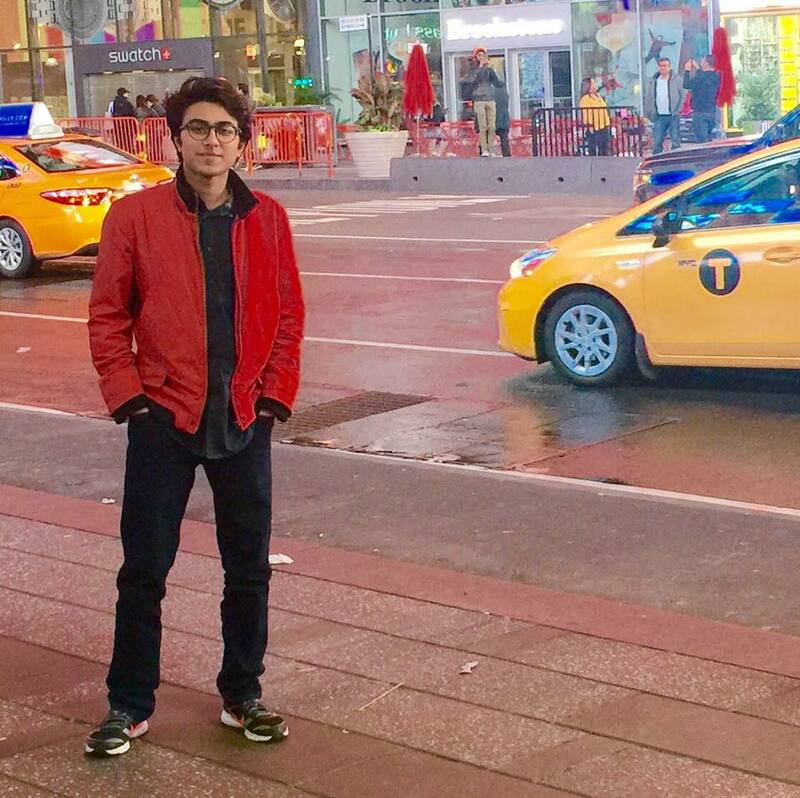 But it’s not as easy as it sounds.” Nabeel had to spend months networking with journalists and editors at top media outlets before he was able to build a strong network of connections. He had to test out various different pitches, facing rejection on many of them, but he finally learned what works and what doesn’t. He says his expertise in PR stems from all the hours he had to put in building a network and pitching. Each failed pitch taught him a lesson, which he tried to avoid in the next one. “You fail enough times, you start to win” said Nabeel. At the age of 21, he is already running multiple successful businesses, in the fields of marketing, public relations, cryptocurrencies, e-commerce, and more. But Nabeel says this is only the beginning. Right now, he is working on writing his first book, and also launching his own social discovery network which he says will be a “game changer”. I guess it wasn’t enough to just dominate the marketing and PR industry. Nabeel now plans to disrupt the social media industry as well. Nabeel’s story is an inspiration for many people to follow their dreams, to always think big, and to never give up no matter how many times you fail.